ANT-FLAG Release New Lyric Video For Single 'Racists' & Tour Dates Announced! Since unleashing their seminal 1996 debut, Die for the Government, ANTI-FLAG has empowered and emboldened their listeners for two generations with a timeless punk spirit. With today’s chaotic political landscape stemming from the controversial 2016 presidential election, the Pittsburgh, PA quartet (Justin Sane [vocals], Chris#2 [bass, vocals], Chris Head [guitar, vocals], and Pat Thetic [drums]) felt the time was right for ANTI-FLAG to release their most definitive offering - American Fall (out November 3rd, 2017 on Spinefarm Records). Co-produced by Good Charlotte’s Benji Madden, American Fall fuels politically driven and powerful self-awareness lyrics, while the 11-song collection is structurally fused together in a new sonic direction of punk-rock singalongs and big hooks. Watch ANTI-FLAG’s new “Racists” lyric video via VEVO here. 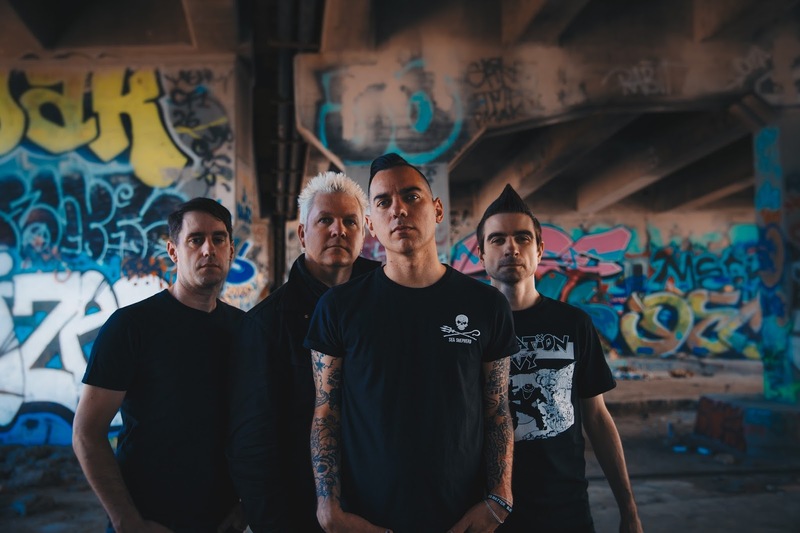 ANTI-FLAG will bring their memorable live set on the road this Fall with select tour and festival dates in the US and UK announced, including Aftershock Festival in Sacramento, CA on October 21st with Nine Inch Nails and Perfect Circle. Plus, the band will perform at this year’s KNOTFEST in Toluca, Mexico on October 28th. See all dates listed below.